Boil the ravioli al dente and cool them quickly. Cut on one side so that they are like an envelope. Pierce with a wooden skewer so that they stay in line. Reserve them in the refrigerator covered with plastic wrap. 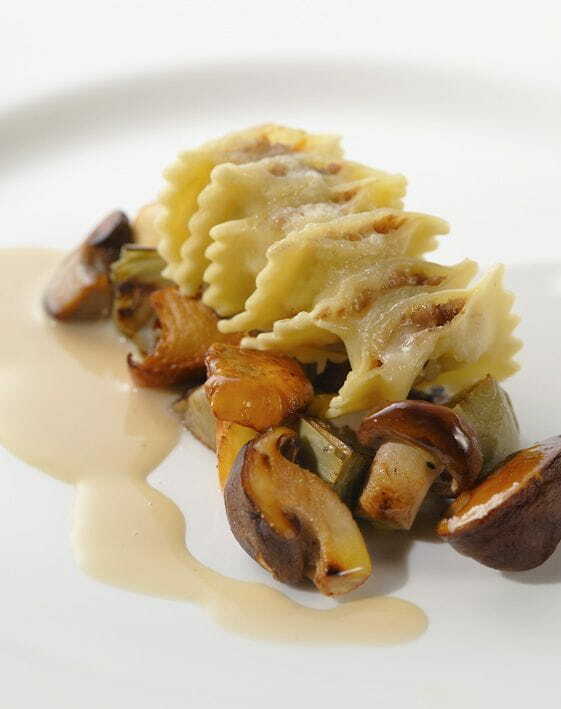 To serve, place the ravioli on a plate, add the cheese and microwave until cheese is well melted. Remove the skewer before serving. Sauté mushrooms, pour Foie gras with Black Truffle sauce and serve.